With the Philippines being the 3rd biggest ocean polluter and with an increasing number of whales washing up on shores with plastics in their stomachs, the campaign aimed to raise awareness and increase public engagement with the cause. As the Philippines was also the host for the 2017 ASEAN Summit on Coastal and Marine Development, the campaign provided an opportunity to increase public pressure and put ocean pollution on the agenda for the summit. The ‘Dead Whale’ was mounted on a beach in one of the most polluted cities in the world. To make it appear lifelike, different types of ocean plastics were used; white sacks for the underbelly, plastic straws and wires to bind materials together, red sacks for the innards and blood and PET bottles for the teeth. The sculpture was then transferred to the shore and unveiled a few kilometres away from the ASEAN Leaders Summit. It immediately caught the attention of locals who posted the photos online, and through these photos, explainer-type news videos, and news content, it went viral. Despite having zero media spend, the campaign ultimately achieved 1.5 billion impressions in over 100 countries, won a Gold Lion award at Cannes Lions International Festival and was covered on top news sites such as CNN Philippines, The Telegraph and People’s Daily China. More importantly, the campaign put ocean plastic on world leaders’ agenda at the ASEAN Summit just one day after its launch. This campaign was therefore able to show not only that brands can be built without big budgets and without a lot of paid media but also the power of a strong insight and an experimental solution, when amplified by the key capabilities in our Network. 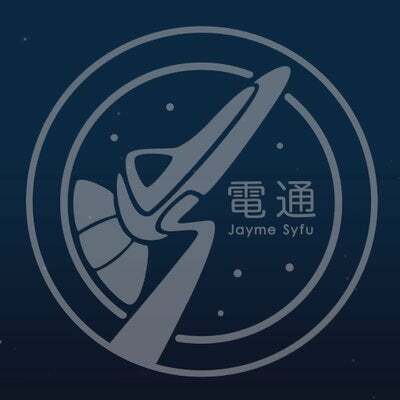 A merger of the Jayme Syfu group and Dentsu Philippines, Dentsu Jayme Syfu aims to fuse creativity and innovation across all channels.